Since 2010, argentinian sisters Julieta and Florencia Gomez Gerbi, have been working to reformulate the fine Ecuadorian tradition of straw hat weaving. Each hat is handwoven by gentle hands with natural fibers of the toquilla palm. The hats represent the unique expression of women who live close to nature and raise their families by weaving hats. Based in La Jolla, California, Greenpacha is profoundly rooted in values of sustainability, ethics and humanity, reflected in the hat collections. — Florencia Gomez Gerbi, CEO & Co-founder. Pacha means times in the Aymara (Inca) language. Greenpacha stands for Green Times. Back in 2010, we were introduced to the panama hat tradition in Ecuador. We were inspired by the beautiful history of this pre-Colombian art craft. As we followed the hat path along the Ecuadorian coast, we learned about the toquilla palm preparation and the weaving communities. 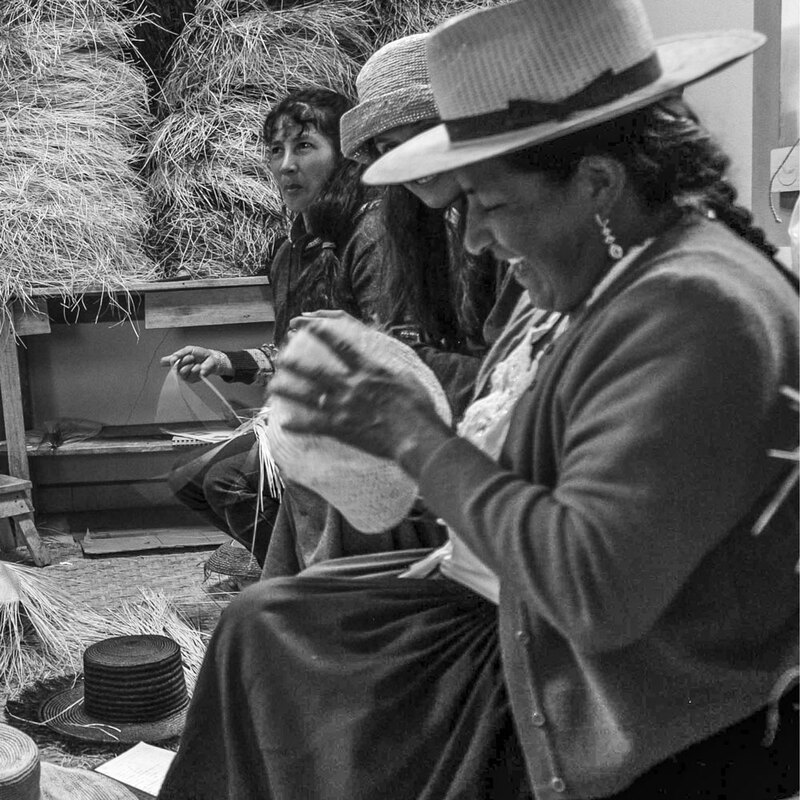 On the hills of Cuenca, we met a special group of wise, strong and joyful ladies that make a living from weaving beautiful hats. Over the years we have fostered a creative relationship with the women of Sig Sig. and the user, and that we could help maintain these unique Latin American tradition alive. Our designs reflect our lifestyle. We have a passion for traveling and a taste for good design. As Argentinian sisters from South America, we feel inspired to share our cultural roots with the World. Our collections are a fusion of tradition and contemporary design. We design hats that are non-structured, easy to wear and travel with. The weavers welcome our design challenges and always collaborate with a positive attitude to make our collections come to life. Our Greenpacha hats differentiate from others panama hats because they represent our values, which aim to build a better world trough sustainable and ethical practices. We create our story by fostering a real relationship with our weavers and hat makers, that blooms beyond work in a cordial friendship. Every year, we visit Ecuador to work with the weavers in our collections. These artisans have been passed down their tradition for generations. By reformulating their tradition through design, we hope to become a Key force in keeping this art form alive, as well as help it grow and evolve. We mean by this that they can make decent living by weaving and that the new generations feel inspired to learn and continue the legacy. Our goal in the fashion business is to create products to love for a lifetime, that have a perfect fit and that symbolize the possibility of a more sustainable and ethical way of consuming accessories. 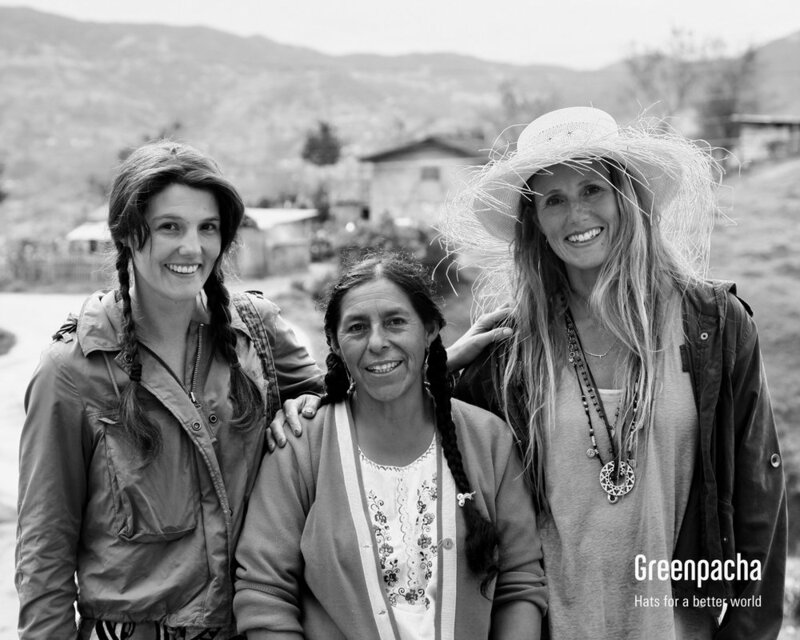 Julieta and Florencia · Greenpacha founders.